Pavan Kalyan is very confident .. every challenge to the YCP-chairman Jagan Mohan Reddy was thrown out. Before you enter the infidelity. Pawan Kalyan has announced that it is not 50, but I will get 80 members support. But his condition must be put on mistrust before March 4. Jagan does not fall under the condition. According to our strategy, The YCP also announced that it will be Start on March 21! But Pawan did not react. If you do not know whether or not you have fallen into Pawan's field, Many are assuming that Doubt is the support of Rahul's support. 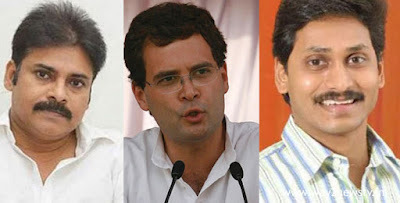 Even though he has been back and ignorant of Pawan's influence on March 4, many people think that Rahul's support is difficult. Because Rahul is very logical, it has the opportunity to say no. "If we are not ready to support the faith, our notice comes to mind ... we can not ignore it," he said. His support does not have any chance of unbelief. Many people think that the AP Congress is also something unbelievable ... they are also infidel .. the song is intended to sing but in fact, they do not matter. The Congress has already issued a clause 184 to discuss the issue of division of law. As soon as Parliament re-meeting, it's more likely to be allowed to vote. The same thing happened ... unless the Congress wants to vote for all parties to vote in their favor, they will not be able to support it again.